Scientists once believed that young children could recuperate rather quickly from brain injuries, but the evidence now indicates otherwise. A study from the Monash University School of Psychological Sciences concluded that even moderate brain injuries among children caused anxiety, depression and other symptoms more than a decade after the trauma occurred. These effects are well-chronicled among adults, but children were believed to be impervious to long-term effects. Study author Michelle Albicini cautioned that only a “select few” victims experience such symptoms. The study looked at children who were between 7 and 10 years old at the time of their injuries about ten years after the traumatic event. Each year, nearly 1.4 million Americans are rushed to the emergency room following a traumatic brain injury. Among children, unintentional drownings and playground falls account for many of these injuries, because oxygen deprivation begins killing brain cells after just a few minutes and many play areas are built over hard surfaces, like bare ground or even solid concrete. Motor vehicle crashes and assaults cause many TBIs as well. In many catastrophic car crash cases, there is simply more force than the vehicle’s safety systems are designed to absorb, and even a relatively light blow can cause a head injury, because the effect is like shaking an egg. In many cases, TBI victims may obtain compensation from either the tortfeasor (negligent actor) or a third-party property owner. Human error causes as many as 95 percent of motor vehicle crashes, and in many cases, this error, though possibly unintentional, constitutes a violation of a legal duty. If that breach causes injury, the tortfeasor is liable for damages. In many cases, the tortfeasor may be liable for damages as a matter of law, because of the negligence per se rule that applies if the tortfeasor violates a safety law. In terms of landowner liability, Florida uses a modified common-law classification system to determine legal duty. If the victim was an invitee (person whose presence benefitted the owner in some way, whether tangible or intangible), the owner has a duty to make the property reasonably safe. Moreover, the owner also has a duty to protect invitees against foreseeable third-party crimes, like assaults. Because TBIs are medically incurable, treatment always focuses on extensive physical therapy, as well as some surgeries, to teach other areas of a damaged brain to take over lost functions. Such therapy often lasts months or even years. Moreover, if there is a permanent loss of function, there is need for medical devices and physical residence alterations (like wider hallways that can accommodate wheelchairs). 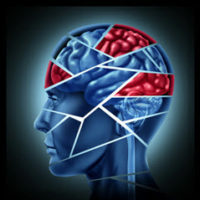 Therefore, compensation in traumatic brain injury cases includes money for both economic losses, such as lost wages, and noneconomic losses, such as loss of enjoyment in life. In many cases, additional punitive damages may be available as well. Brain injuries often have nearly permanent consequences. For a free consultation with an experienced personal injury lawyer in Brandon, contact Reed & Reed.